The tax treatment of income earned by cryptocurrency trading remains vague and not fit-for-purpose. Existing tax laws around the world are struggling to appropriately regulate this legitimate new asset class. While countries like Germany and Singapore have adopted a tax friendly approach, America has towed a harsh yet oblique line. So, what does this mean for cryptocurrency traders in New Zealand? In a recent Auckland Cryptocurrency Meetup, AgBiz Accountants Director Tim Doyle presented some examples of how cryptocurrencies would be handled under the current law. The first example is quite simple: you buy 1 ‘A’ coin for $100 and later sell it for $200. The $100 gain is taxed. This, at its simplest form, is akin to share trading. By adding a second trade from cryptocurrency to cryptocurrency, the calculation becomes exponentially difficult. Let’s say you buy 1 A coin for $100. You then trade half of your A coin for 2 B coins, thus incurring a taxable gain of $50 (you only sold off half of your A coin, hence the gains from the other half of your A are not yet realised). You then trade 1 of your B coins for 5 C coins. Between your first and second trade, the value of B coin appreciated from $50 to $300 per coin, which means for every 1 B coin you trade, the $250 appreciation in value is taxable. The key issue here is that you need to know the relevant pricing of the coin as at that point in time. This is in conflict with cryptocurrency traders, who often measure their portfolios in Satoshis (unit of measure for the bitcoin currency) rather than in USD or NZD. So what happens if your portfolio tanks? Your taxable amount won’t change. In the most recent crash during March, traders were likely left with hefty tax bills with no portfolio value to show for it. Another issue with the tax treatment of cryptocurrency stems from there been two accounting methods traders can use - First in First Out (FIFO) or Weighted Average Cost (WAC). Both are accepted, provided they are used consistently, not interchangeably to lower your tax obligations. Let’s say you purchase 1 A coin for $100, followed by another A coin for $1,000. You sell 1 A coin for $2,000, resulting in a taxable amount of $1,450 under WAC or $1,900 under FIFO (first in first out). These examples illustrate how impracticable the current tax laws are. For example, what happens if you place a market buy/sell order on a cryptocurrency exchange that results in thousands of micro-transactions? Retrospectively, what happens when you trade on a decentralised exchange where there’s no trade history and you can’t remember what happened? What happens if you purchase a cup of coffee with Bitcoin at a café? Is that transaction taxable? How about GST? Clearly there are a few deficiencies to be worked through. But we as cryptocurrency traders need to exercise patience with the IRD. It will require a collaborative effort from both the traders and IRD to work out a fair system targeting this new and exciting technology. If there are too many restrictions, we risk ending up like America, where fewer than 100 people reported capital gains on their cryptocurrency investment, of the most recent 250,000 filers. Seems weird with an emerging asset class that everyone is making a loss huh? *Henry Chueh is a blockchain and cryptocurrency researcher. He is a house husband with plenty of time to do research into blockchain and has seven years of experience in the financial services sector, specifically insurance. Well someone found the reddit threads from months ago... I wonder why they forgot to copy in the bit about tax details for mining (personal & business related). While this is not 'hot of the press' or even 'stale from the duck pond' (see articles from last year) it does nicely advertise Tim Doyle's assistance and time he has donated to helping out on the reddit boards, often on threads that have to constantly repeat the same 'yes, you do need to pay tax" and "yes tax avoidance is illegal" as precursors to the good advice. Can't have the plebs using secure limited supply currencies that actually hold value. Tax them relative to how much paper funny munny is printed. "So what happens if your portfolio tanks? Your taxable amount won’t change. In the most recent crash during March, traders were likely left with hefty tax bills with no portfolio value to show for it." Um-mm, doesn't this happen often to many tax payers making poor, wrong, high risk decisions. Not sure I see the need to be treated differently. 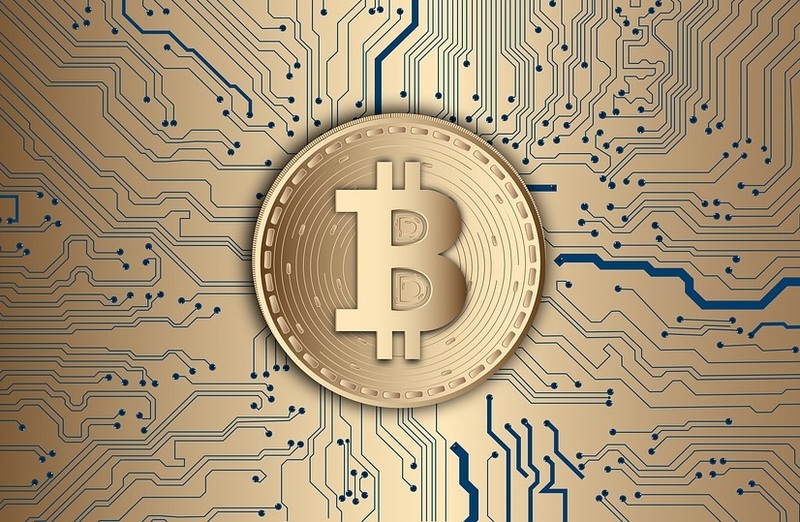 Here's a good article from Zbigniew Dumienski and Nick Ross on how to modify the tax system to suit an environment where cryptocurrencies are taking hold that would improve economic outcomes.